Cover Front: RCA and catalog number lower right corner. 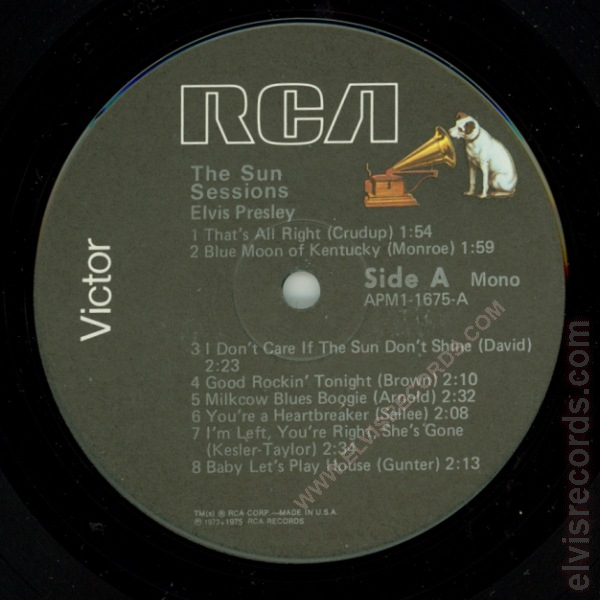 Catalog number upper right corner. 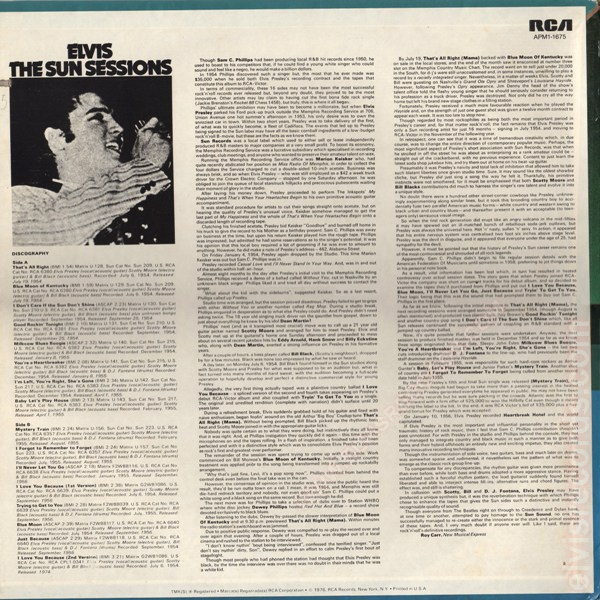 Title upper left corner. 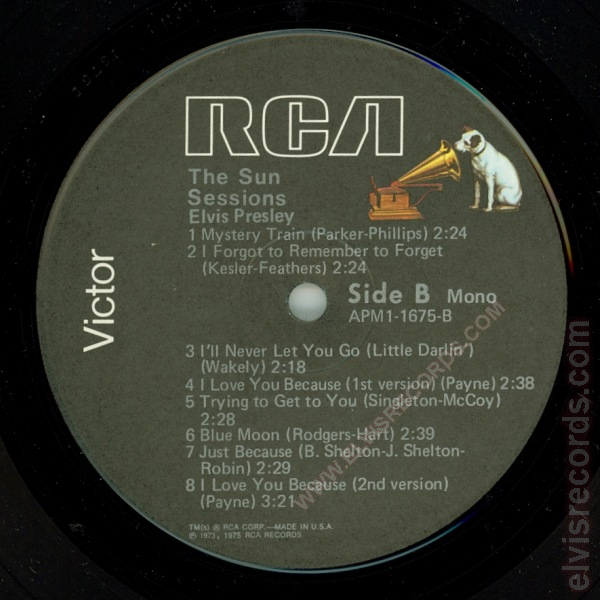 Cover Back: RCA and catalog number upper right corner. 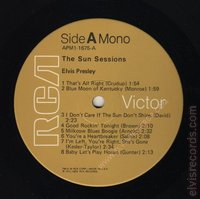 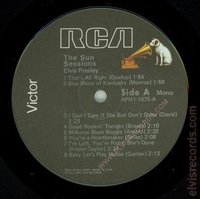 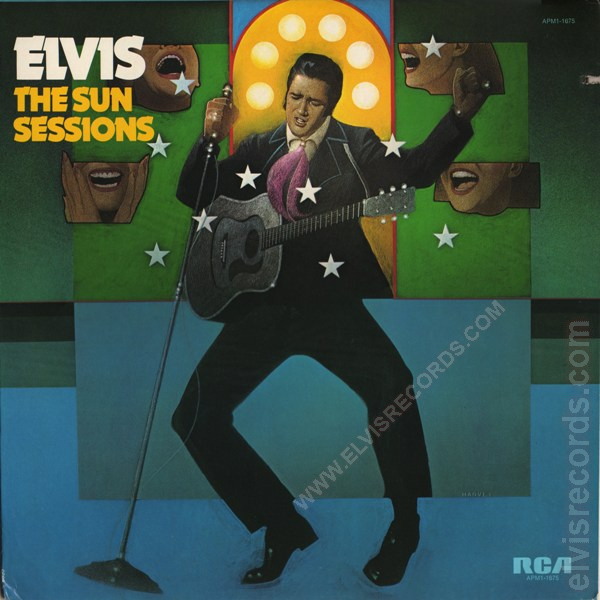 Originally issued in 1975 as RCA HY-1001 internationally and reissued as AFM1-1675 The Sun Sessions.